On several occasions during a four-day stay in Havana on a licensed trip for work I was nearly arrested. I was the sole African-American among a group of Caucasians and Latin Americans. In the tourist areas of the city, the locals are prohibited from fraternizing with visitors (this mainly has to do with deterring panhandling and black market deals). In fact locals are not allowed inside their own hotels! To my surprise, I look Cuban. Militia and hotel police, who were convinced I was a native, stopped me. That was, until I spoke. My lack of Spanish, distinctly American-accented speaking voice always caused the most profoundly apologetic responses and even inspired one policeman (with a very large Soviet-era machine gun) to give the most amazing Jack Benny double take. Believe me, this was serious. I was with my comrades and working around Old Havana within an hour of arriving, when we crossed a local Cuban talking to a group of East Europeans. In seconds, a van pulled up, throw the guy in the back and whisked off. We were told that the penalty for â€œharassing touristsâ€ is an automatic three days in jail. Cuba is deeply prejudiced. Dark-skinned natives are routinely harassed by the more respectably European-looking half of the population. For the first time in my life I truly knew what it was like for my parents in the Deep South before Civil Rights. At first I laughed it off, but I was shaken to my core. Devastated. 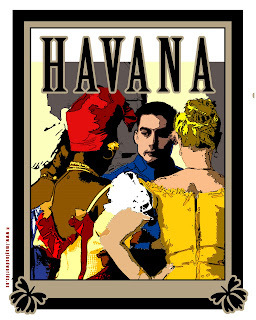 Still, Havana was a profound and exhilarating experience. Life-transforming. Not for it flaws, but for its opportunities. No people celebrate life every single day with more joy and abandon than the Cuban people. In the face of tremendous hardship, they embrace music, dance and hospitality. They open their homes and hearts to you without a second thought, and they only ask for good conversation in return.